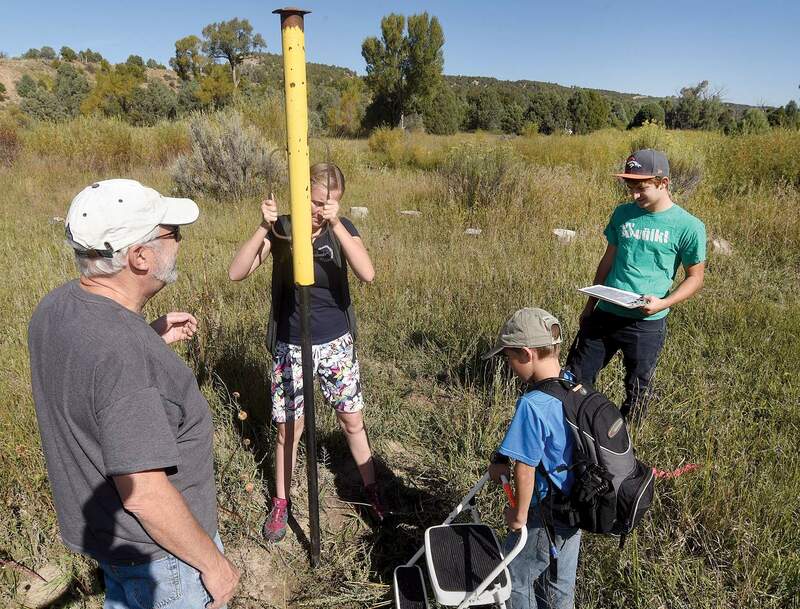 Nick Jernigan, far right, watches as his father, Randy Jernigan, left, and volunteers Robin Bumgarner, center, and Colin Vosika install one of 16 bird boxes at the Durango Nature Center in 2015. Durango Nature Studies Annual Online Auction will be held through Sept. 26. Durango Nature Studies’ Annual Online Auction is underway through Sept. 26. Local businesses and board members have donated multiple items and services to benefit DNS, and the total number of offerings has doubled this year. New items include two-day tickets to see Neil Young in Telluride, a $100 gift certificate to Seasons Rotisserie & Grill, a one-person ultralight tent, Osprey Deluxe and Sojourn travel packs, a woman’s Gregory pack, a three-month membership to Fitness Solutions, an MSR XGK backpacking stove and much more. To view items and participate in the auction, visit http://auction.durangonaturestudies.org or go through the DNS homepage at www.durangonaturestudies.org.